Over 250 breeds of cattle are recognized throughout the world. Some breeds are used for dairy production, while others are used for beef production. Each breed of cattle has its own strengths and weaknesses, making it better suited for certain climates, living conditions and production goals. Breeds can vary in coloration, size, the presence or absence of horns, overall hardiness and production uses. With so many things to consider, we’ll focus on identifying the most common dairy breeds in the United States. Color: White and a reddish-brown mahogany that varies in shade from very light to very dark. Region: Nationwide, with the largest numbers in New York, Pennsylvania, Ohio, Wisconsin, Minnesota, Iowa and Vermont. Living conditions: Can forage for themselves in adverse feeding and climatic conditions. Calves: Strong and easy to raise. Do not possess the yellow tallow characteristic that reduces carcass value. Health and temperament: Excel in udder conformation and don’t have excessive foot and leg problems. 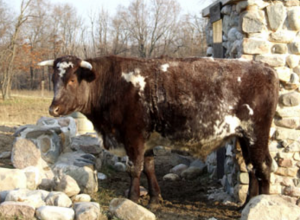 The Ayrshire cattle were implemented in the United States around 1822, meeting New England farmers’ need for a dairy cow that would graze the pastures of their rough, rocky farms and tolerate the cold winters. The cattle thrived as their new home was much like their native Scotland. Ayrshires have been bred and developed to be profitable dairy cows. They are a moderate butterfat breed. According to Oklahoma State University, with good management and feeding practices, individual Ayrshire herds average as high as 17,000 pounds of milk and 700 pounds of butterfat. Top-producing Ayrshires can regularly exceed 20,000 pounds of milk in their lactations. Color: Grey, dark brown, tan and sometimes almost white in color. Markings: Solid colored, with a black muzzle and hooves. Size: Medium-sized, cows weigh about 1,300 to 1,400 pounds. Region: Possibly the most common dairy breed in the world, with a population of seven million. In the United States, the largest concentrations are in Wisconsin, Iowa and Ohio. 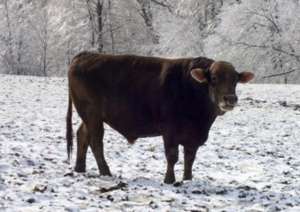 Living conditions: Brown Swiss cattle can thrive in both hot and cold climates, and a variety of terrains and management systems. Health and temperament: Brown Swiss cattle are prized for their longevity, dairy strength and outstanding feet and legs. They are also known for their docile, friendly disposition. Brown Swiss cattle may be the oldest of all dairy breeds, originating in Switzerland. They were introduced to the United States in 1869 in Massachusetts. The Brown Swiss in the United States today descend from 25 bulls and 140 females initially imported from Switzerland. Brown Swiss yield large volumes of milk with a large percentage of fat and protein components for cheese-making. Brown Swiss producers often receive higher premiums than owners of other breeds. Brown Swiss herds average 22,452 pounds of milk, 919 pounds of fat and 749 pounds of protein. Size: Smaller, weighs over 1,000 pounds at maturity. Region: Nationwide, however, decreasing in numbers as total dairy cow population decreases across the United States. Living conditions: Excellent grazers, made for pasture-based milk production. Require less feed per pound of milk produced than larger breeds. Adaptable to warmer climates. Calves: They have a younger average age of first-calf heifers and they are also known for having a lower projected calving interval because of their smaller size. Health and temperament: Guernseys don’t have any known undesirable genetic recessiveness. Additionally, Guernsey cows are known for a gentle disposition. Guernsey cattle were brought to the United States from the Isle of Guernsey in 1840, being introduced in New York, originally. 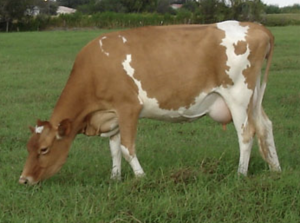 Guernseys are known for producing high-butterfat, high-protein milk with a high concentration of betacarotene. The milk is known for its golden color due to the high levels of betacarotene. 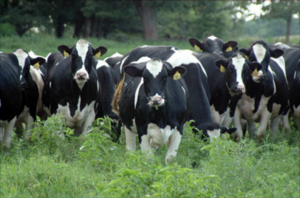 According to Oklahoma State University and data from herds enrolled in the American Guernsey Association’s Dairy Herd Improvement Register program during 1992, Guernsey herds average 14,667 pounds of milk, 659 pounds of butterfat and 510 pounds of protein. Color: Black and white or red and white. Markings: Easily recognized, with distinctive color patterns of black and white or red and white. Size: Large breed, Holstein cows weigh about 1,500 pounds and stand 58 inches tall at the shoulder when they reach maturity. 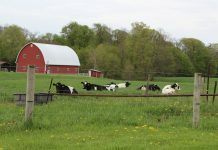 Region: Nationwide, Holstein dairy cattle dominate the United States’ milk production industry. Nine out of 10 dairy producers currently milk Holsteins. Calves: A healthy Holstein calf weighs over 90 pounds at birth. heifers can be bred when they weigh about 800 pounds, at about 15 months old. However, it is most desirable to calve Holstein heifers for the first time between 24 and 27 months old. 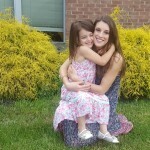 Gestation lasts about nine months. Health and temperament: According to Holstein Association USA, Inc., Holsteins have unexcelled production, greater income over feed costs and unequaled genetic merit. 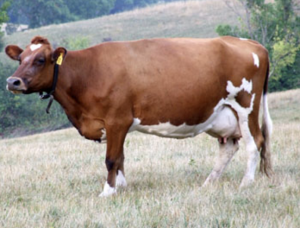 The Holstein cow originated in Europe, before being brought to the United States in 1852. After being established in Massachusetts, the Holstein breed was sought after by many other breeders. According to Holstein Association USA, Inc., the 2015 average production for Holstein herds that were enrolled in production testing programs and eligible for genetic evaluations was 24,958 pounds of milk, 920 pounds of butterfat and 710 pounds of protein per year. Color: May vary from a light gray or tan to a very dark fawn or a very dark, almost black shade. Markings: Generally, have unbroken color patterns, but are commonly darker around their hips, head and shoulders. Region: Worldwide, with outstanding herds found from Denmark to Australia and New Zealand, from Canada to South America, and from South Africa to Japan. Calves: According to the American Jersey Cattle Association, Jerseys benefit from little or no calving problems, greater fertility, a shorter calving interval and earlier maturity. Health and temperament: Jerseys produce more pounds of milk per pound of body weight than any other breed. Docile and easy to manage, despite a more nervous disposition. Differences in reproductive performance, a lower incidence of clinical mastitis, less disease and injury, and fewer feet and leg problems make Jerseys favorable. Jersey bulls are smaller than other breeds but extremely muscular. Jersey bulls are the least docile of all common breeds of cattle. 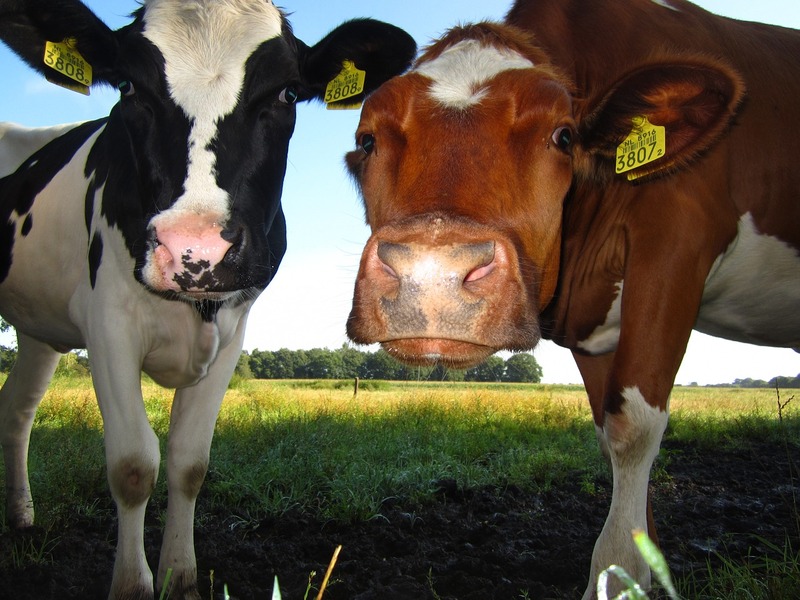 The Jersey is one of the oldest dairy breeds, being purebred for nearly six centuries. It originated in the Island of Jersey in the English Channel. It was introduced to the United States in the late 1850s. 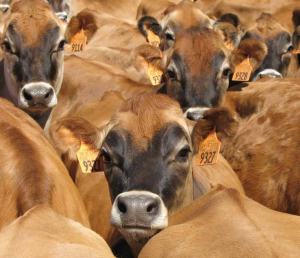 Jersey cows in the United States produce more than 17 times their bodyweight in milk each lactation. According to the American Jersey Cattle Association, the 2015 average production for Jersey herds that were enrolled in production testing programs and eligible for genetic evaluations was 18,040 pounds of milk, 868 pounds of butterfat and 659 pounds of protein per year. Color: Red, red and white, white or roan — a close mixture of red and white, and found in no other breed of cattle. Markings: One color covering a majority of the body with a secondary color speckling its hide. Size: Larger breed, weighing 1,400 to 1,500 pounds and averaging 55 inches tall. Region: Found all over the United States. Calves: Milking Shorthorns are known for high levels of fertility and ease of calving. Their healthy calves born each year on regular calving intervals are spunky at birth and grow rapidly. Health and temperament: Milking Shorthorns are desirable due to their durability, longevity, ease of calving and ability to adapt to a number of production environments. They are also known to be docile, efficient producers. 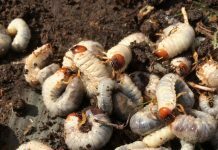 Additionally, they are large enough to have salvage value at the end of their productive lives. Milking Shorthorns originated in northeastern England. They were brought to the United States in 1783, in Virginia. They quickly became favorites for their ability to provide milk, meat and power. They were later imported to New York, Kentucky, Ohio and the Midwest. The Milking Shorthorn breed is one of the most improved over the past 15 years with more increases expected. It has developed more into a dairy breed and improved udder quality. The average production for Milking Shorthorns is about 15,000 pounds of milk, with 3.8 percent butterfat and 3.3 percent protein. One thing you must add for the Jersey, they are very susceptible to milk fever starting at the third lactation. We had a herd of Holsteins and Jerseys and when we called the vet for milk fever they asked what breed, they’d take the Jersey first as they would die the quickest from it. We’d also give them a cmpk tube or two to keep them alive. Holsteins will still grow a nice set of horns unless they are polled. Your right Jerseys are prone to getting milk fever and have a higher risk of dying in a short amount of time.